Gern möchten wir Sie auf eine interessante Veranstaltung der Schwedischen Botschaft hinweisen, das vollständige Programm finden Sie hier. How can we strengthen the contribution made by wood construction to reducing greenhouse gas emissions and thus reaching the goals of the Paris Agreement on climate change and the Agenda 2030 of the United Nations? In this morning seminar representatives of Nordic and German authorities, research institutions, industry and youth seek answers to this question. 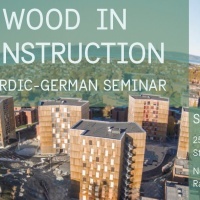 The seminar will look at wood construction from an industrial- and sustainability perspective. 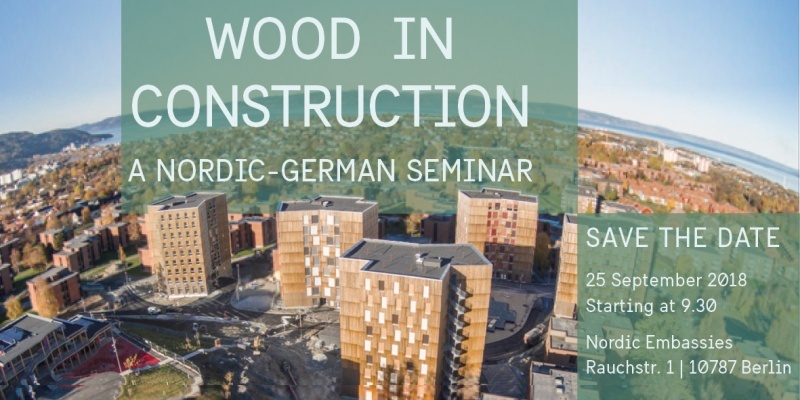 Focus will be on possibilities and challenges in the Nordic countries and Germany and what can be done to remove barriers to the use of wood. We look forward to discussing issues such as planning processes, regulations, technical challenges, health, fire protection, costs, consumer issues, life cycle and others with you. We will in August send you the official invitation with a full program. We look forward to sharing an exciting day with you in Berlin on Tuesday, 25 September 2018.